Baselworld is almost upon us, and though we’re currently elbow-deep in last-minute preparations, many of us continue to speculate about what Rolex may have in store for us in 2018. Last year’s unveiling of the cyclops-clad Sea Dweller arrived as a big surprise, as did the elegant Cellini Moonphase, and we have little doubt that the industry’s biggest “heavy hitter” has more hotness ready to satisfy collectors and fans around the globe. As of this past weekend, the brand has already been teasing that something new on a jubilee bracelet is on its way, fueling ample speculation of what direction that might go. After a reasonable amount of debate, we’ve narrowed down a list of the new releases we’re expecting (and in some cases optimistically wishing) to see in the halls of Baselworld later this week. How accurate we are is yet to be seen, but either way be sure to stay tuned for live images and hands-on impressions from the world’s biggest watch fair on our Instagram feed @bobswatches, as well as through features on our blog. Here are three Rolex Baselworld 2018 Predictions. The same way that Rolex made enthusiasts wait forever to finally see a ceramic bezel Daytona, the wait for a black and red “Coke bezel” GMT Master II has been longer than many have expected. 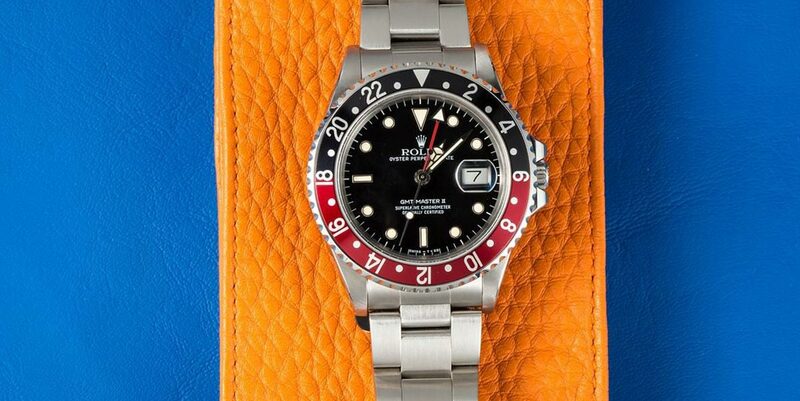 The 16710 GMT-Master II Coke bezel was discontinued in 2007, and now a healthy 11 years later we wouldn’t be surprised in the least if Rolex dusts off the design for a new ceramic bezel variant much akin to the beloved Pepsi and BLNR “Batman” GMTs in the current roster. If Rolex were to go down the path of a new GMT, we wouldn’t be surprised to see its inner workings get a bit of a retooling as well. Currently powered by the 3186 manufacture caliber with a 48h power reserve, recent technical advancements at Rolex (as seen in the new 3235 caliber in the new Datejust, among others) would make it logical to see the GMT’s caliber refreshed in 2018. From there the new caliber could easily trickle its way into the much-loved Explorer II, and although this model also hasn’t seen much updating in recent years, it is also one of those “if it ain’t broke, don’t fix it” sort of watches that we don’t see Rolex messing with until a new GMT caliber is ready for the market. Based on Rolex’s teaser clips, a new Datejust 36 with an updated caliber is pretty much a no-brainer at this point. It’s no secret that Rolex intends to update all of its calibers in the coming years, and with the Datejust 41 already under their belt, the 36mm variant is next in line. It would be very unlikely to see Rolex unveil anything other than a Datejust on the Jubilee bracelet seen in the aforementioned teaser clips, and unlike the latest Datejust 41 which was rebuilt around their new 3235 movement back in 2016, the Datejust 36 is still powered by the earlier 3135 movement. As much as it would be a very Un-Rolex kind of move to see something like a Submariner or GMT-Master II unveiled on a Jubilee bracelet (as we sometimes see them in the vintage market), we highly doubt that our speculation on this potential Rolex release is even slightly off the mark. The new Cellini made big waves at Baselworld 2017, what do you want this year? Last year’s Rolex Cellini Moonphase with pointer date garnered far more attention than most Cellini models ever do, considering the line has long lived overshadowed by its more iconic siblings. This warm reception continues to fuel speculation that there’s more to come from this underdog collection, not to mention that other more out-of-the-ordinary vintage Rolex models continue to gain traction in the vintage market. While the brand hasn’t been particularly big on playing up the whole “vintage inspiration” trend (thankfully), we could easily see last year’s Cellini evolving into something a bit more complex. 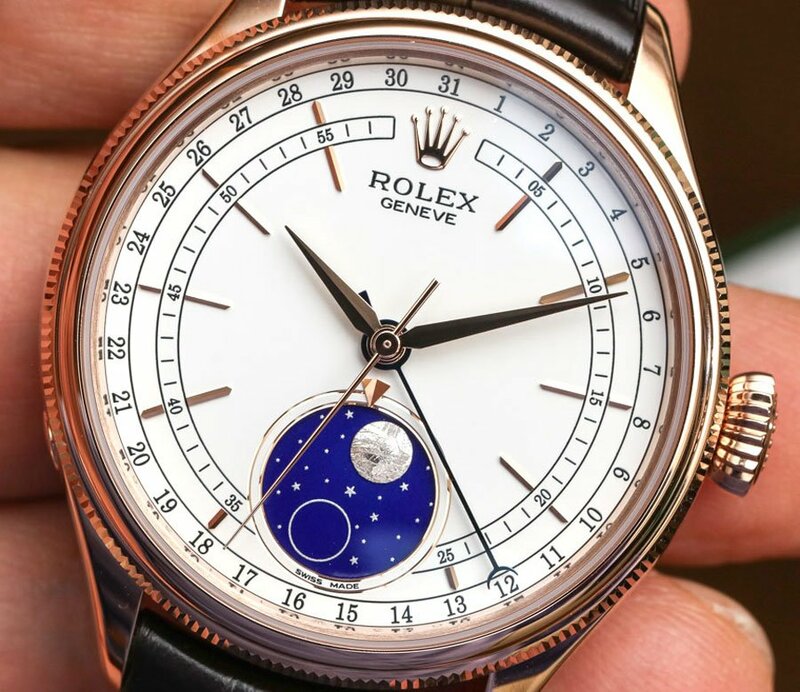 The biggest contender would obviously be to mirror the Rolex Padellone 8171 and its triple-date moonphase complication, but we wouldn’t limit our speculation to that specific configuration. What are your thoughts on our Rolex Baselworld 2018 Predictions? What do you want to see? Going through the Rolex catalog looking at which collections are overdue for a little TLC, we can’t help but think the Yacht-Master II 116655 could be on the brand’s hit list as far as updates are concerned. 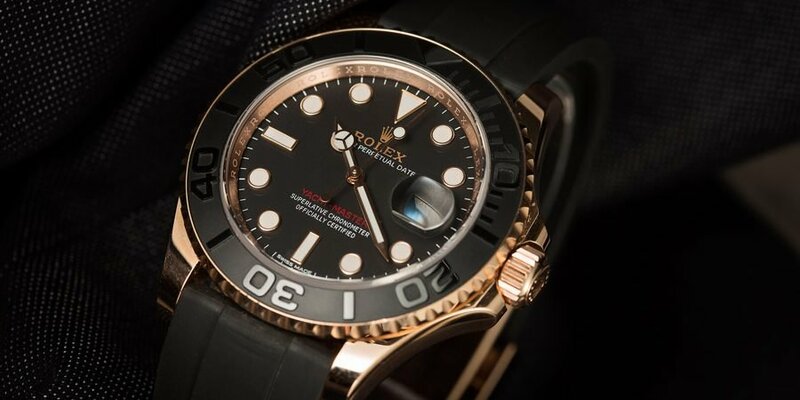 The standard Yacht-Master received an update in 2015 when Rolex revealed it for the first time on its slick Oysterflex Bracelet, however, the Yacht-Master II has only seen what could be called minor tweaks with its update in 2017. Objectively speaking the model is now 11 years old, and is due for some proper change. That said, Rolex isn’t always that quick to the punch with this sort of things, so we aren’t entirely sure that this would make it down the pipeline for 2018. At the bare minimum, seeing something like a new dial color of Yacht-Master II making an appearance at Baselworld.